How can recent college graduates work their way into entry-level PM positions? What skills are transferrable for someone transitioning from project management to product? What kind of tools do you use to measure success for a new product feature to ensure a positive return on investment or to support a business case to go to project build? During your career, what (apparent) failures, when looked back on, do you feel have set you up for career success today? What did you learn from them? I have more than 17 years in project and program management and it’s not challenging me anymore! Is a transition to product manager a good fit? How can you source problems and ideas for your product? Are there standard mechanisms in product for identifying areas to improve on? How does a UX person differ to a product owner? How did you transition to a PM role? What have your failures or apparent ones taught you in your career? How can design thinking inform new feature decisions? 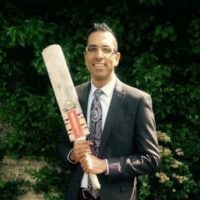 Former EE PM Neil “sat down” with our Slack community members and answered all these burning questions in an #AskMeAnything live chat session. Read on for his insights and maybe join us next time? Neil Choudhary is currently the Senior Manager of Product Realization at Cognizant Digital Business. Prior to his current role he was a Product Manager and a Technology Business Partner at EE in London. He has a BSc in Maths from Queen Mary, University of London and an MBA from Kingston University. He also volunteers through Grow Movement as a business mentor for entrepreneurs in developing economies, like Uganda and Rwanda. 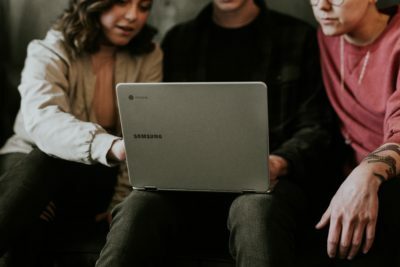 There are a number of ways of getting into a product career – from my experience, people have entered it from a more technical perspective (software development), but I have also seen marketers enter PM roles. This is why PM teams tend to have very varied backgrounds. I think you need to look at your strengths and try to counterbalance and develop in areas where you might be weak. If you are strong technically, look to try and build up in more commercial areas, understand how businesses develop their business models, how would you create a business case for a product and so on. If, however, you are commercially-focused, maybe try and spend more time with techies and learn to understand their language! It also doesn’t harm to pick up professional training or a certification, particularly if you are a recent grad – this shows commitment. 1) Being able to spin many plates! Bear in mind, although there is clearly some overlap in terms of the skills you need for sure, they are very different roles. The main difference is that product managers prioritise releases, talk to customers and clearly define features. Their efforts are ongoing and involve managing the entire lifecycle of the product. A product manager’s goal is to deliver a lovable product. Project managers, on the other hand, oversee a fixed project from beginning to end. Their job is to execute the strategy set by the product manager or leadership team. Firstly I think you need to understand the goals of your product – this is really your starting point. I would really look to expand this down into to what I call a KPI tree – each goal would have KPIs, which would also be inputs for a business or benefit case. To understand more about KPI trees, check out this article by a PM from Transferwise. 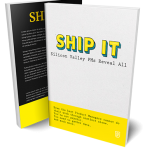 One issue that I have had in the past and I believe many Product Managers have is ensuring that their successes and the value they deliver is articulated across the organisation. 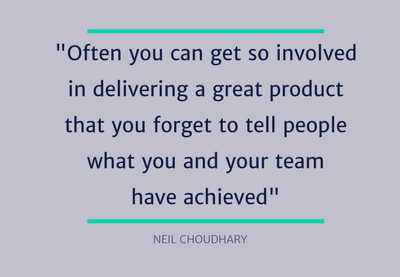 This is so important, you could be doing an amazing job and often times you can get so involved in delivering a great product that you forget to tell people what you and your team has achieved! This can lead to people not understanding the value you or product bring to the organisation. I am not claiming to have addressed this completely, but I am getting better! It really depends on what you are looking for, a product role might be a good fit, I also made a career change some time back (to a product role). A good starting point is to understand what you don’t enjoy or find challenging about your existing roles. If you find that you would have to do many of these things as a product manager, then maybe it is not the best move! I would do the same with understanding the things you enjoy about your current or past roles. There are many techniques – one that we follow in our practice in Cognizant Digital Business is using design-thinking techniques, including human insight research to understand pain points and unmet needs for customers. Obviously you don’t need to be an anthropologist to do this! Basically, speak to your customers, either using structured interviews (qualitative research) or surveys (quantitative research) to understand how they use existing products. There are tonnes of content out there to help you out. Try Ideo for some nice material on the design-thinking process and how to go from insight through to ideation, prototyping and so on. A UX person is purely looking at the product from the perspective of the end-user and from my experience, less so from the business’ perspective. That’s a PM’s role and a really important one – you are not only the voice of the end-user but also that of the business. Your UXer, unless they are a very rounded individual, isn’t going to be thinking about that. I’ve been reading Change By Design by Tim Brown, along with his Ideo blog to help me better understand design thinking. Are there any other concepts, blogs, or books you might suggest digging into? Tim Brown is great. Worth looking at Frog Design, there is some decent thought leadership there around design thinking, same applies to Fjord and of course I will have to plug Idea Couture (which is owned by Cognizant Digital Business) and the practice I am part of. Worth taking a look at the CEO’s (Idris Mootee) book “Design Thinking for Strategic Innovation”.